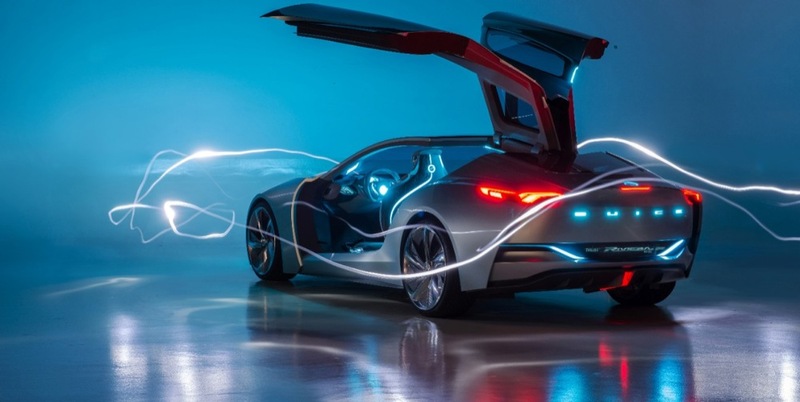 The Buick Riviera could hint at an electrified Buick of tomorrow. 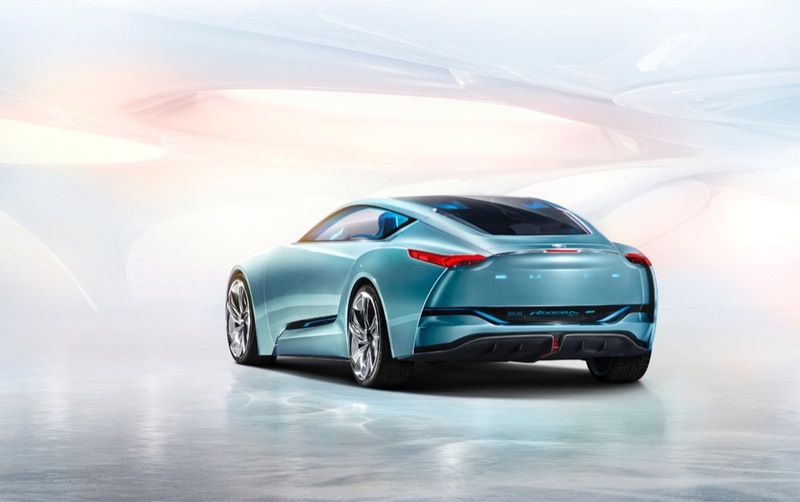 Across the world, Buick has pulled the sheet off its all-new Riviera concept car, and from the looks of it, left conservative design by the wayside. 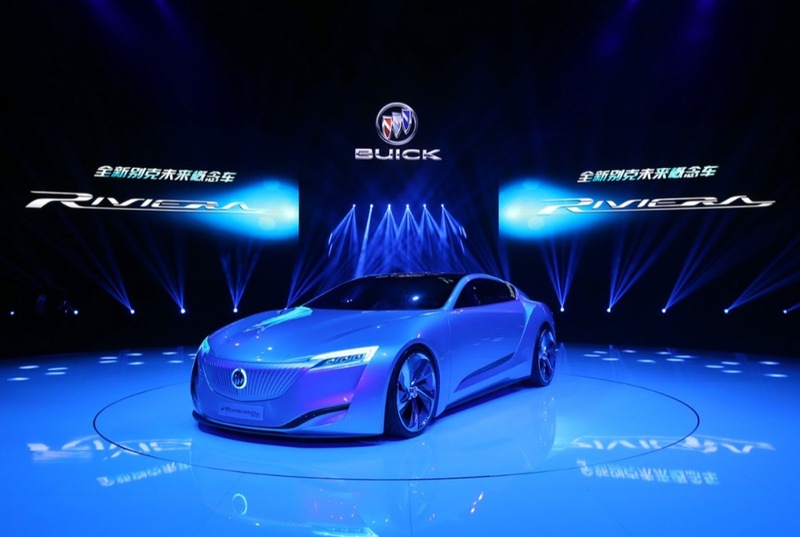 The plug-in hybrid electric coupe also marks the fourth global concept vehicle jointly developed by Shanghai GM and its Pan Asia Technical Automotive Center (PATAC) joint venture. Our first big clue that this new Buick concept would be named the Riviera was when we took notice last month that GM continued to pursue the “Riviera” trademark via the United States Patent Office. 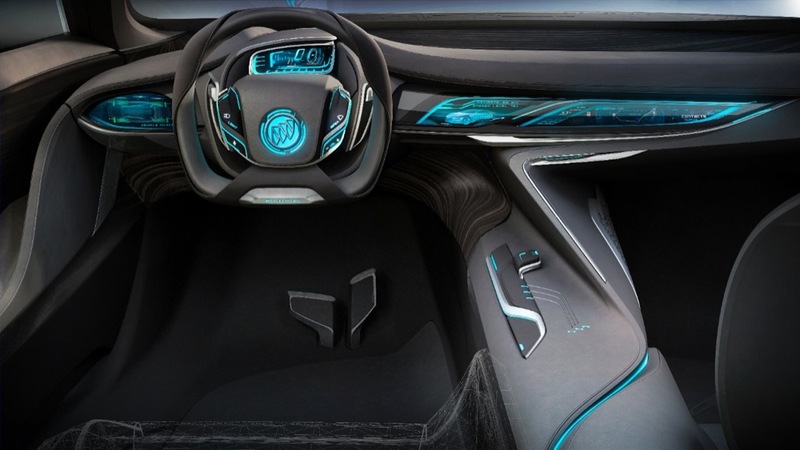 Designers for the new Riviera took inspiration from the Chinese saying: “The greatest good is like water.” The vehicle’s sweeping design is meant to capture the elegance of a flowing river. Notice the wing-shaped LED lights up front — already seen on modern Buicks of today, such as the 2013 Enclave, and 2014 LaCrosse and Regal. 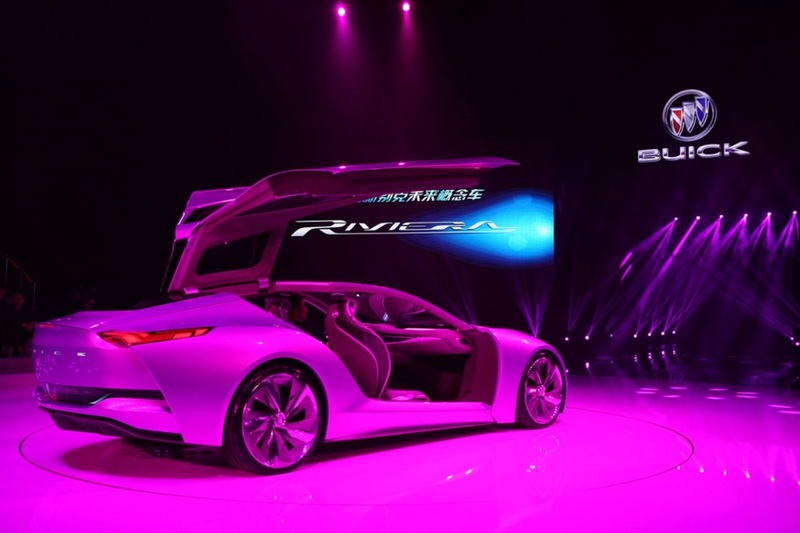 The Riviera Concept also has a low drag coefficient thanks to its low stance, racked windshield, 14-degree fastback design and metallic fiber spoiler, which are complemented by active grille shutters and diffusers, and active pneumatic wheels. 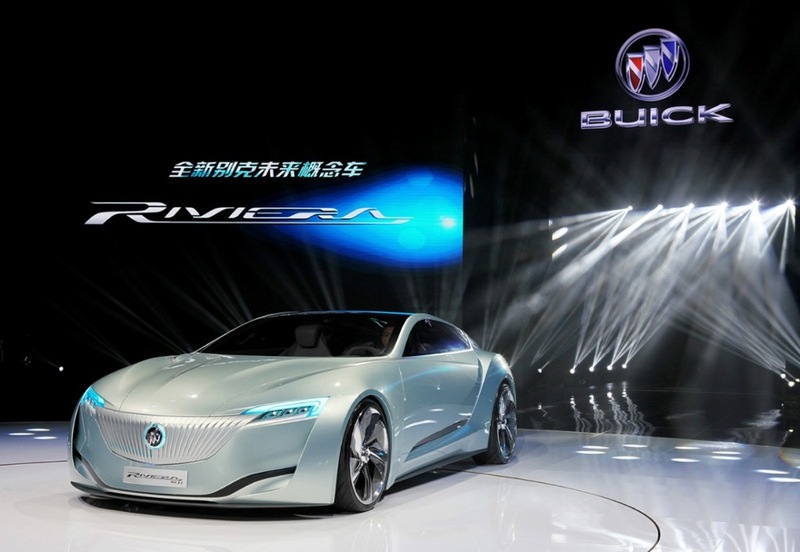 The Riviera Concept also introduces something called BIP (Buick Intelligent Performance) technology. It features a dual-mode W-PHEV (wireless plug-in hybrid electric vehicle) propulsion system featuring inductive charging abilities. One might think that feature isn’t feasible for production, but we would like to point out that General Motors has invested a great deal of money into inductive charging technology. When a cord is required, the charging port is integrated into Buick’s iconic porthole design. The new Riviera is also equipped with intelligent four-wheel steering, magnetic ride control, and an air spring package adds comfort in extreme conditions. But that’s not all, folks, as the Riviera also supports high-speed 4G LTE network use, while offering real-time traffic information, weather updates, and news and entertainment while communicating with other vehicles. 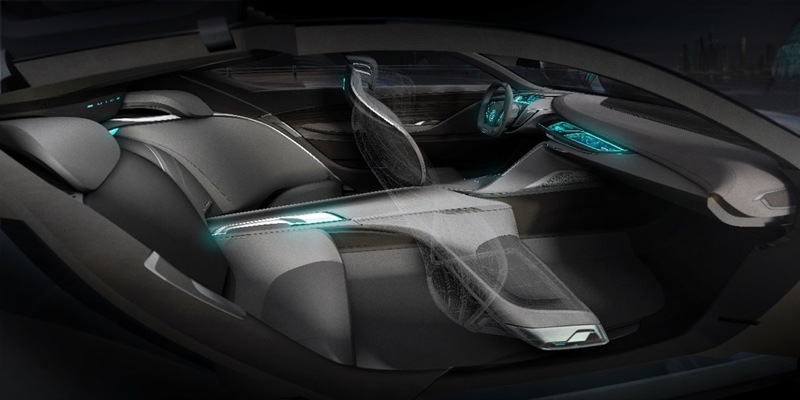 The vehicle’s voice commands and controls along with touch and gesture recognition activate a range of vehicle systems and enable seamless interaction between driver and vehicle. Pretty cool. The new Riviera also employs a forward-looking active safety system that collects traffic information through 10 high-resolution cameras (for image monitoring) and 18 micro high-precision sensors (for distance monitoring). The information is integrated and presented in a holographic image onto the windshield. Also cool, yet custodial. The intelligent driver assist system takes active safety to the next level. The system features *breathes*: an eagle view record system, night view assist, side blind-zone alert system, lane departure warning system, full-speed range-adaptive cruise control system, lane change assist system, parking assist system, rear cross-traffic alert system, autopilot system and “transparent” A pillars. Nice, hope its RWD & hope there is a V8 option. I’m with you on the RWD, but you lost me at V8. That is not a big heavy beast of a car. V6 engines now routinely get over 300 HP and even 4-bangers are getting over 200 HP. Why would it need a V8? Plus it comes across more as “high tech” than “muscle car”. I’d say make it electric. Rear-wheel-drive is cool and so it a turbo V6 power, because it can’t out perform Cadillac. Besides, some guys will drop a V8 in later when they mod it. Wonder what the European version would be called? Monaro, Royale, Monza, Calibra, Manta. This looks pretty cool, but I would expect a production version to be more watered down. I would also expect it to debut AFTER the 2016 Camaro. I don’t mind a hybrid option, but I sure hope it isn’t standard. The “wings” are outstanding on this concept. andrew why would you think that eh? You haven’t been paying attention obviously, I’ve said I conceived and drew the images that were used as designs on models on Cadillac’s, Oldsmobile’s, Buick’s and Chevrolet’s produced in the 1977 to 1990 model years. That clear things up for you? However there are Design Plagiarism issues General Motors needs to resolve before the USPTO approves issuing GM a trademark for “Riviera.” Being trademarks may be among the only redeemable assets of the Old General Motors I may seek. Stale & derivative concept car styling. Wow, I’m impressed with what they’ve done with this.. And I hope they keep the looks similar. They may add door handles to the side and some less expensive rims, but I’m hoping it sticks closer to the concept kind or like the 5th gen camaro. If they do that than they have raised the bar for the Buick name. Wow!! Cobalt SS on steroids!! This thing is BEAUTIFUL. I hope they bring it to market as it looks here. They need more than just plug in hybrid technology with it though. It needs a proper powertrain option as well. Big fan of the doors, the character line running from the hood back, and I like how the headlights and grill come together; but the rear is really weak though, IMO, and it just doesn’t do all that much for me. The last Riviera concept was much more to my liking. Give THAT one Z06 underpinnings, a price within reason, build it here, and I would be all over it. Or Volt–I’m not all that hard to please. It seems that Buicks now a days don’t have an identity. Don’t get me wrong modern Buicks are elegant and stylish but the verano for example feels like a cruze with more leather. This however, looks like it’ll add some much needed identity to Buick. Buick has it’s own identity, styling cues, an unique features. You said it yourself, modern buick’s identity is elegant and stylish. They are supposed to be bold like Cadillac or masculine like GMC. Buick is still aligning itself and filling it’s portfolio, but it’s waterfall grille, cool-blue lighting, hood/fender ports, insane sound insulation, and the new ‘wing’ LEDs are Buick. @V8 Jon: A “V8 option” on an electric vehicle seems to be out of place, dear. 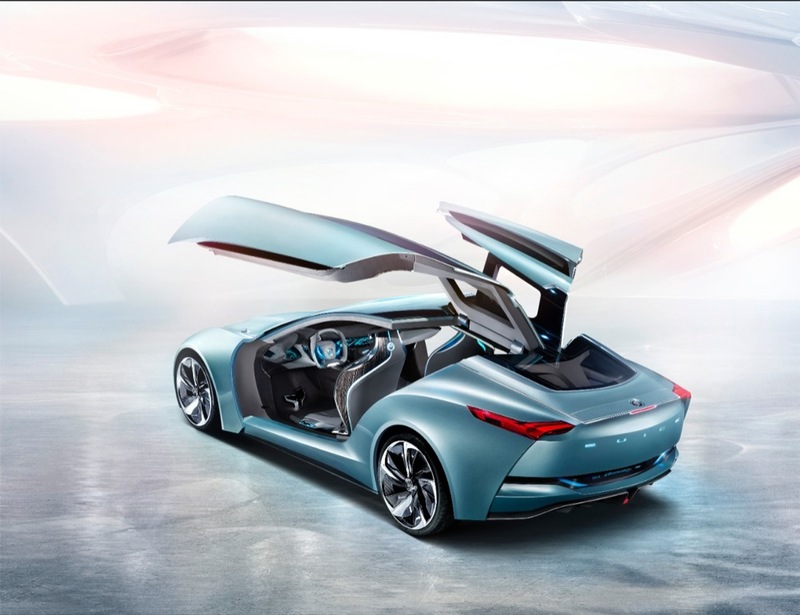 But sure, the Buick China press release does not specify the nature of “GM’s all-new, dual-mode W-PHEV (wireless plug-in hybrid electric vehicle) propulsion system” presented in this car. The sales talk “The user can drive the car on green power in electric mode and enjoy the exhilarating handling and performance of a sports car while driving ‘green’ in hybrid mode” does not explain if this uses the “range extender” technique of the Opel Ampera/Chevrolet Volt, or something different, like two parallel power transmissions from both electric motors and combustion engines. I was intrigued by “The new Riviera is also equipped with intelligent four-wheel steering” — do they really mean four wheel steering, or was that mis-worded for “four-wheel drive”? The former would be a revolutionary first for a passenger car. Also @V8 Jon: There is no reason not to call an eventual Opel/Vauxhall twin of this car als the “Riviera”, leaving it to everybody’s guess if the Italian or the French Riviera is meant if it ever goes into production, what concept cars mostly don’t). And @gm wisdom seeker: No, I do not think that a concept car would look better with side view mirrors; only for a production car which would be intended to be used on the public road, would side view mirrors a must. BTW, thanks for pointing out that omission, I did not notice it, I was just stunned by the beauty of the car. Well, it was designed in China, not the US or Rüsselsheim. Little addition: if the hybrid means “range extender” à la Volt/Ampera, you would rather find a 3-cylinder engine on a production version of this car, but certainly not a V8 gas guzzler just for driving an electric generator. That color definitely captures the elegance of a flowing river better than any other. I love the idea but to me this is just an updated old show car. Like above I am not feeling it but I do hope they do a coupe in RWD. As for the V8 you have seen the last of the V8 powered Buicks you will ever see. TT V6 might be what you should expect. To be honest I liked the last version of this show car more as it was closer to production even thought is was not a producible car as it was. I expect a RWD coupe to fit in with a Alpha based Buick sedan in the next couple years. We may also get a AWD. Kind of looks like the original volt pre launch model from years ago. Now we know why they did not do it as it was originally planned besides trying to maximize the mileage battery wise. Every time I see a downright gorgeous concept car like this, my first reaction is WOW!! Then I’m struck with sadness when I realize that nothing even remotely resembling these cars will ever see the light of day. I am aware that some aspects of these cars would not pass various safety standards the way they are, but to have it become a never-was or seriously watered down is truly saddening. I had my doubts about a Riviera concept because I thought the last production Riv sucked along with the last concept, but this one really fits the name very well. I really do love this concept. 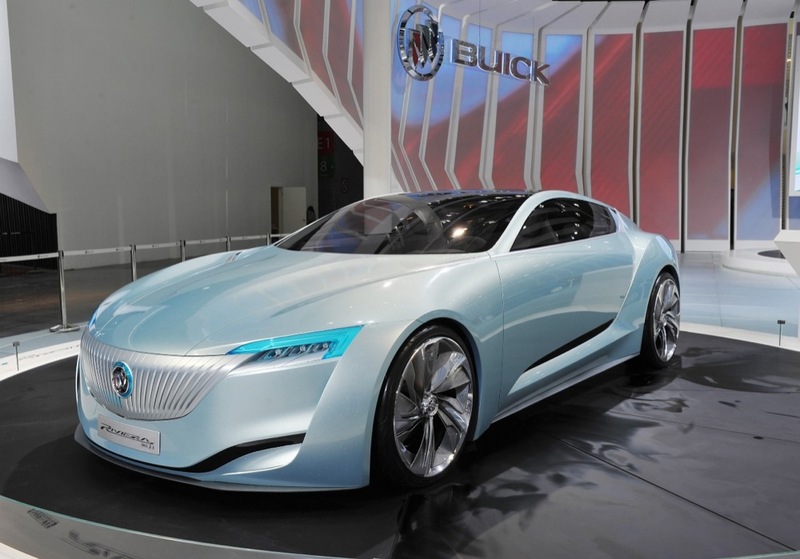 It’ll most likely not make production which is sad, but I’ll be happy as long as at least one future Buick gets that beautiful face…. Or that awesome prophile. Sensational. 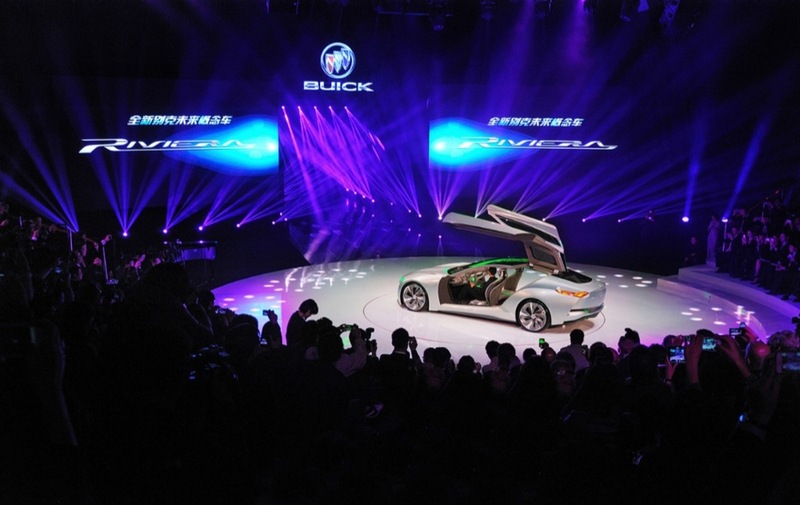 It’s a shame that nothing even vaguely resembling it will be built by Buick.